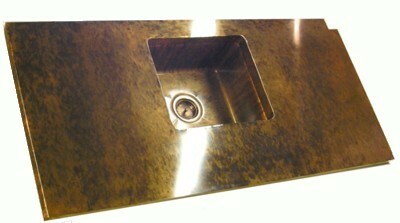 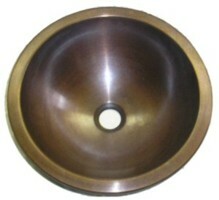 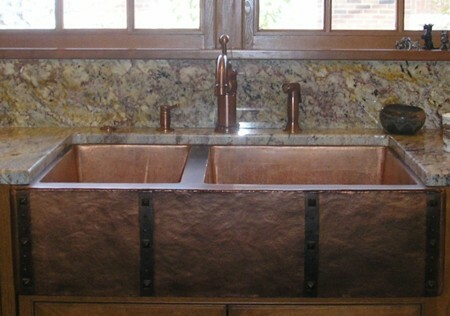 Our beautiful copper sinks are all custom made to order & are made using our high quality 48 oz copper. 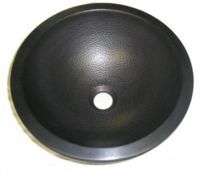 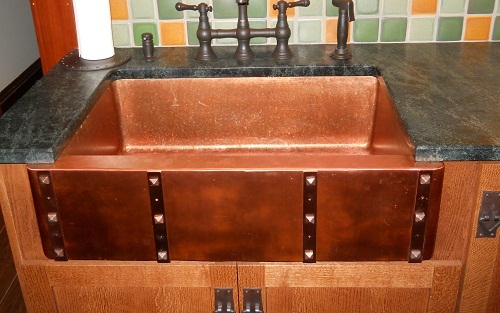 Available as drop in or under counter copper sinks, as well as farmhouse style apron copper sinks. 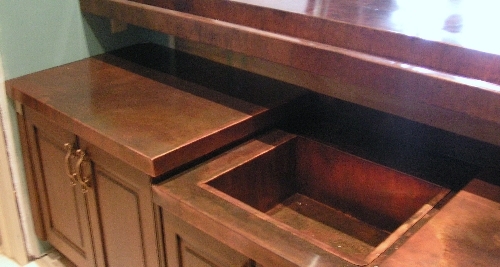 Each kitchen sink comes with a copper basket drain.